WATERBORO — A Waterboro man faces an assaulting an officer charge after the York County Sheriff’s Office said he head butted one deputy and bit the leg of another. 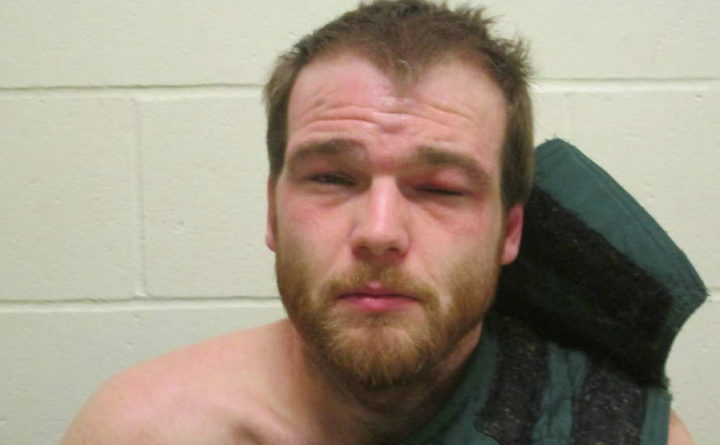 Nicholas Morin, 29, is being held on $10,000 bail after the incident on Beaver Dam Road in Waterboro on Thursday. Deputies escorted a woman looking to retrieve her belongings due to domestic discord. When she arrived with deputies to the Beaver Dam Road residence, they found the door barricaded and Morin, the man she feared, yelling he had a gun. Morin eventually came out peacefully, said he did not have a gun and — despite being highly agitated — he surrendered to deputies. But while being taken into custody, Morin resisted arrest, allegedly head butting a deputy and causing damage to his nose and bit another deputy in the leg. Morin made his first court appearance Friday on the assaulting an officer charge. Correction: An earlier version of this report listed the wrong town for Beaver Dam Road.